Since our launching, we have been progressing steadily in customers base providing customers with flexible repayments loans such as that offers Business Loan Singapore, Payday Loan Singapore & Personal Loan Singapore accompanied by heartwarming and outstanding services. Our loan processeses are easy and all paperwork is done legally. Last but not least, we always keep our clients information and data with strictest confidentiality and privacy. We make sure that all personal data given to us is held secure and private at all times. You can also be sure that you will get just exactly what you need with us. We believe that educated clients are the most ideal type of clients and we endeavor to ensure that all our clients are educated about our loans. 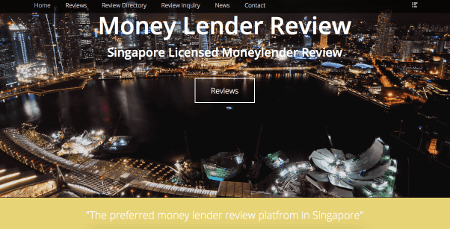 We are a legal money lender in Singapore, licensed with the Registrar of Moneylenders, and our customer satisfaction evaluations are very high, both of which are things to be on the look-out for with a great moneylender. Your personal information will be handled with the highest level of discretion, and our rate of interest and repayment plans are negotiable to tailor a solution best fitting to your needs. We comprehend that time is money, and you can rely on us to deliver on promises, so just enjoy the kind and relax of service every customer only dreams about. We comprised of a primary team of professionals that deliver loans to adapt to all your needs. Get in touch with or apply a loan with us now for a non-obligation discussion on getting your loan application. Do you hope you could get easy access to a loan for your education loan in another country? Whether you need a large sum of money for college fees or to invest in an asset or smaller sums for emergencies occurring such as renovations, fast cash or foreigner loans, we are your go-to lender in Singapore. Our Loan assistants are friendly and knowledgeable in the field of money lending and will be able to advise you how to go about getting your loan.